UltimateQA.com announced the release of my newest course to help share my knowledge of automation using Selenium WebDriver. This course was developed to provide students with the basic configuration and understanding to get started with WebDriver. Updates and additional courses will be developed in response to student feedback and interest. We partnered with Shawn Conlin to release Selenium WebDriver Basics. Shawn has over 20 years of experience in development and testing and is bringing an excellent course to the Ultimate QA platform. So, the first 50 students can have this course for 50% off. That’s a cost of $4.99… 2 cups of coffee.. for this excellent course that will get you started with WebDriver in Java (retail $9.99). 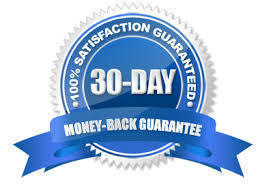 If you are unhappy, for any reason we provide a 30 day money back guarantee, no questions asked! You literally have nothing to lose. If you don’t like the course, just request a refund within 30 days. Get the Selenium WebDriver Basics with Java course. Previous PostThe Dangers of Tribal KnowledgeNext PostWolvesbane Academy is now accepting patrons!